Great fun for an unusual sound! 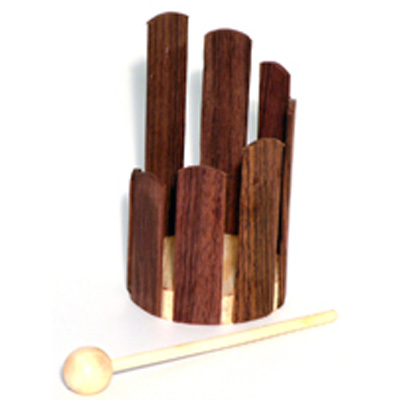 Indian wooden stir drum played by rotating the beater against the inside edge of the eight drum slats, each making a different note. Great fun for an unusual sound! Overall Height: 16 cm, Diameter:9.5 cm.